This is Sacagawea with Captain Merriwether Lewis and William Clark. Sacagawea was the only woman to lead the Lewis and Clark Expedition/Exploration. When she was in the Expedition she found her brother after losing him as a child. In this article you will learn about her Early Life, During the Lewis and Clark Expedition, and Her Afterlife from the Expedition. Sacagawea was born 1788 in Lemni County, Idaho. With her small family, she had a good life growing up. Her father was Shoshone Chief, her brother Cameahwait, and her mother is unknown. She is unknown, because she was trapped by another tribe. 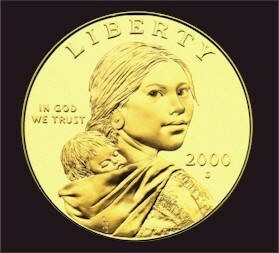 When Sacagawea was 12 years old she was kidnapped by the same tribe as her mother’s. She was by a river and all alone. 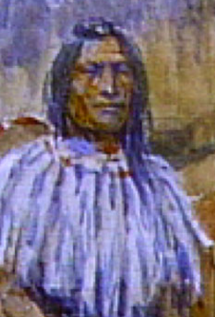 This is a picture of Sacagawea's father. He died when Sacagawea was only a little girl. 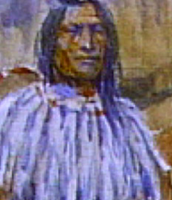 Her brother Sadly went missing when she was a little girl, but she found him when she was with Lewis and Clark. Sacagawea had 2 babies during her life time and had a wonderful husband. Who was at the Expedition? Well President Thomas Jefferson,Captain Merriwether Lewis, William Clark, and Sacagawea. It happened in 1803-1804 in what is now the western portion of the United States. When Sacagawea was going along the trip, she was 16 years old! Also, she had her first baby along the way. Lastly, 6 years after the Expedition, sadly Sacagawea died. She died on December 22, 1812. She died of a very serious illness that doesn’t have a name. She also was the second woman to be on the dollar coin!! She was buried at Sacagawea cemetery. Sacagawea had an amazing life as an adult. She got to have a very good family growing up. She also got to find her brother after losing him as a child! Also, she got to be buried at her very own cemetery. Portion- A part of something. Tribe- A traditional society consisting of families.